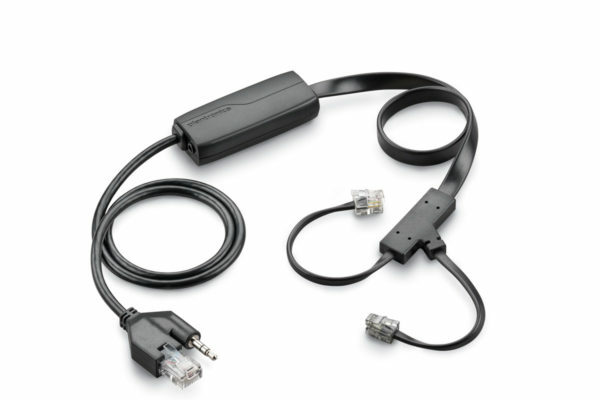 The APC-43 Electronic Hook Switch Cable replaces the APC-42 in order to meet Cisco’s new cable specs and offer minor performance improvements. The APC-43 is compatible with the Plantronics Savi 700 Series and CS500 Series wireless headsets as well as the MDA200 and will be forward compatible with future Cisco phones. The Electronic Hook Switch Cable provides remote desk phone call control (answer/end). This cable eliminates the need for a HL10 Handset Lifter.